February is here and we're excited to get cooking! This week's tasty menu features everything from luscious noodle salads to hearty mushroom steaks to spicy tofu dishes. 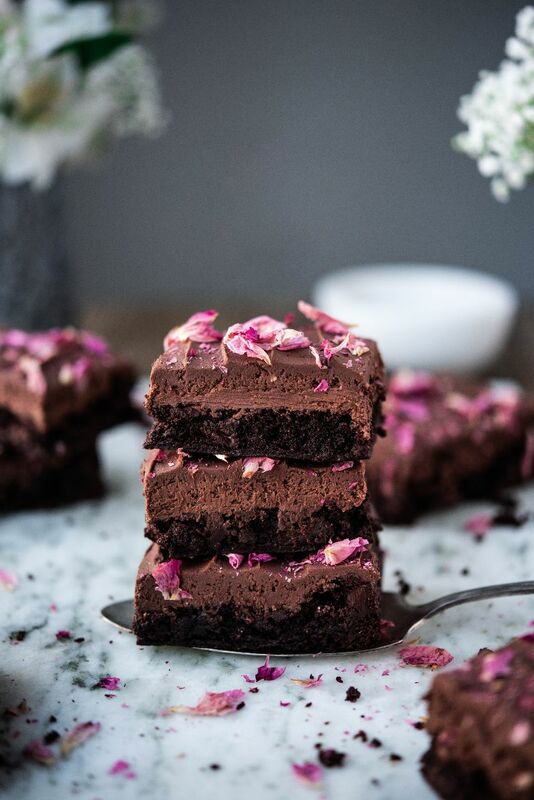 Get excited for this weekend–there's a luscious batch of Chocolate Brownies that boast a silky smooth ganache made with SO Delicious Dairy Free French Vanilla Organic Creamer. Happy cooking! 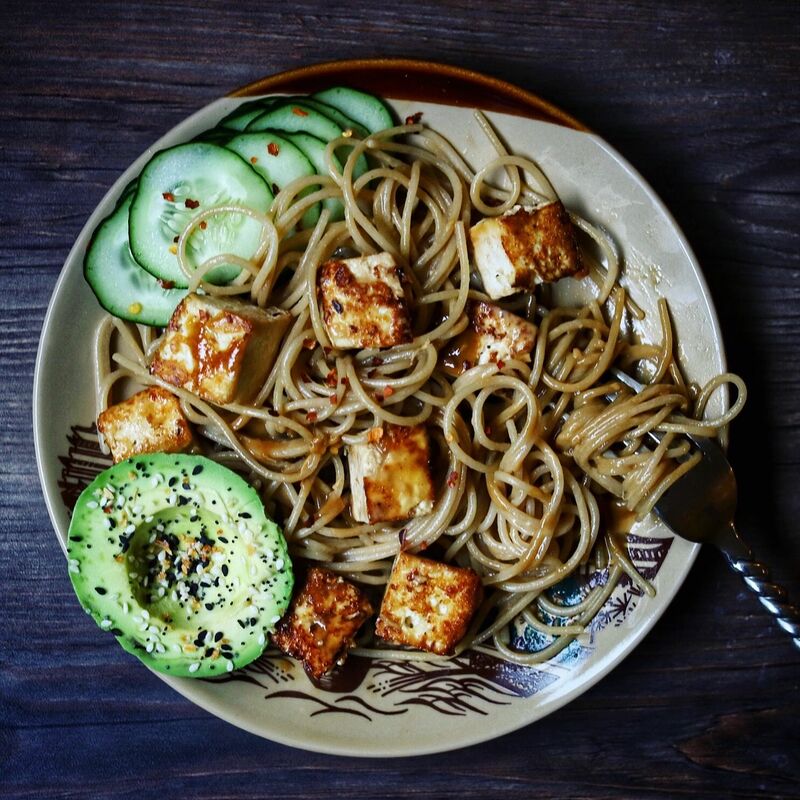 This week's Vegan Meal Planner is sponsored by our friends at SO Delicious! 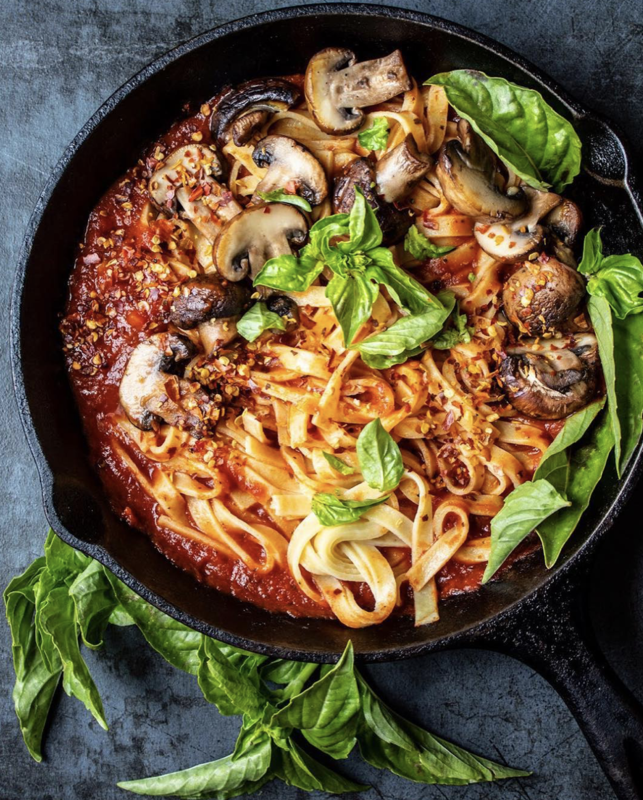 Make a comforting skillet of green vegan shakshuka for an easy Sunday morning breakfast, and then use up the rest of that luscious sauce for a cozy bowl of noodles. 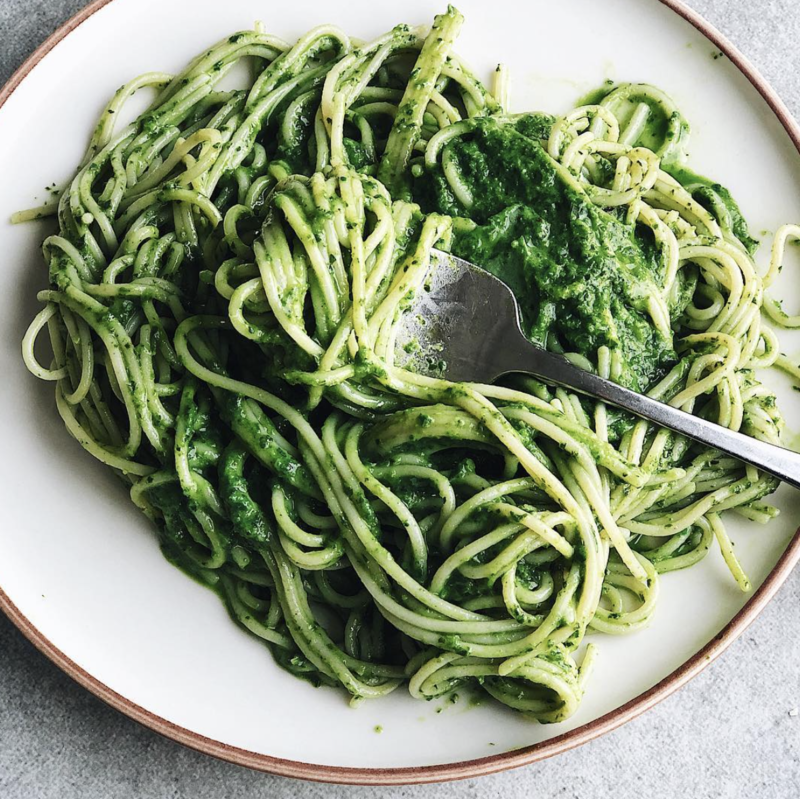 Feedfeed Tip This sauce is a great way to make use of greens and herbs that are on their way out. Pulse them in the food processor with oil, salt, and pepper, and they'll taste brand new! 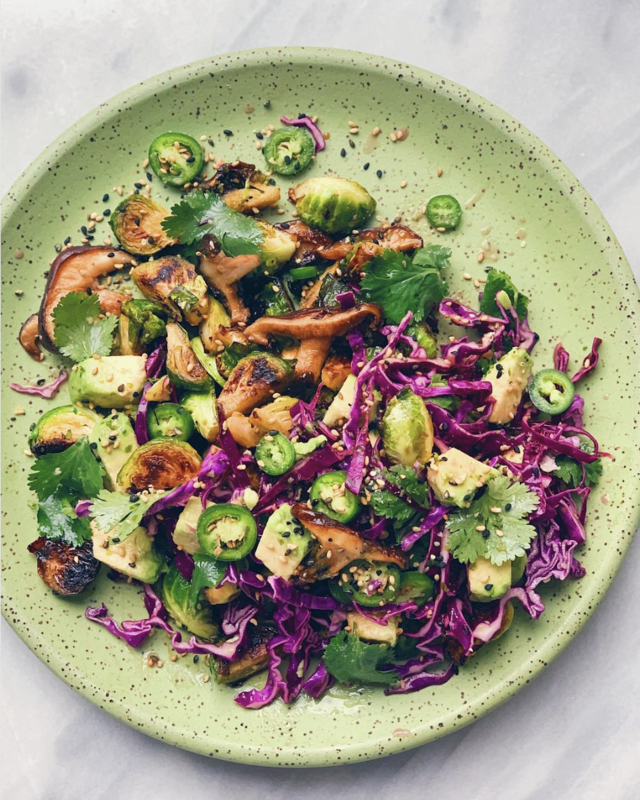 Shiitake mushrooms are an easy way to add hearty texture and flavor to any dish. Toasted sesame seeds provide a nutty crunch for this easy weeknight dinner. This simple noodle salad comes together in minutes, and if you want to make it ahead of time, it keeps in the fridge for several days. This crispy, spicy tofu is no joke! 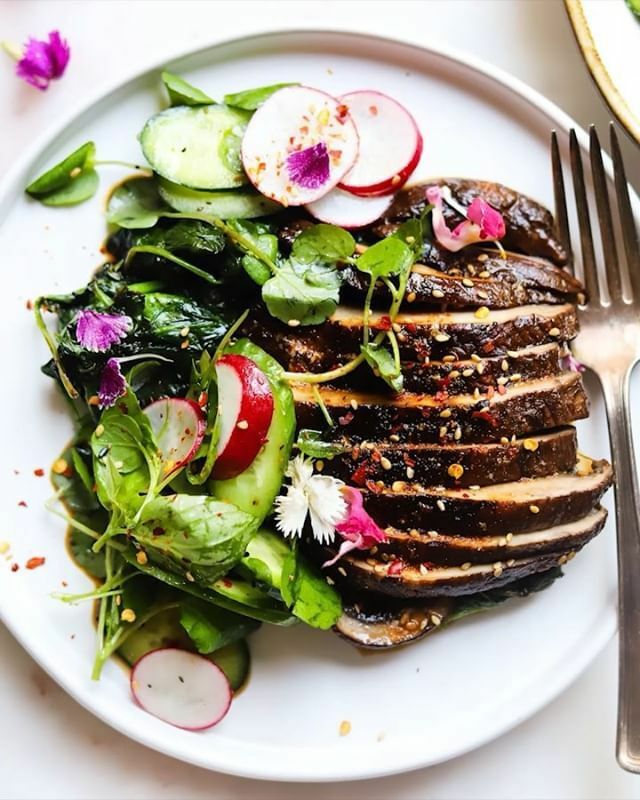 These mushroom steaks are anything but shy on flavor. A quick marinade in soy sauce, hot sauce, and toasted sesame seeds breathes new life into this simple dinner. What's a pasta dish without lots of garlic, basil & chili flakes? Don't expect leftovers with this delicious dinner! This easy tofu scramble is packed full of protein and takes just minutes to make. What's a better weekend plan than making a warm batch of brownies? These sweet treats (which are also gluten free!) are topped with a luscious Chocolate Ganache made with SO Delicious Dairy Free French Vanilla Organic Creamer. You might want to bake a double batch, because they're that tasty! 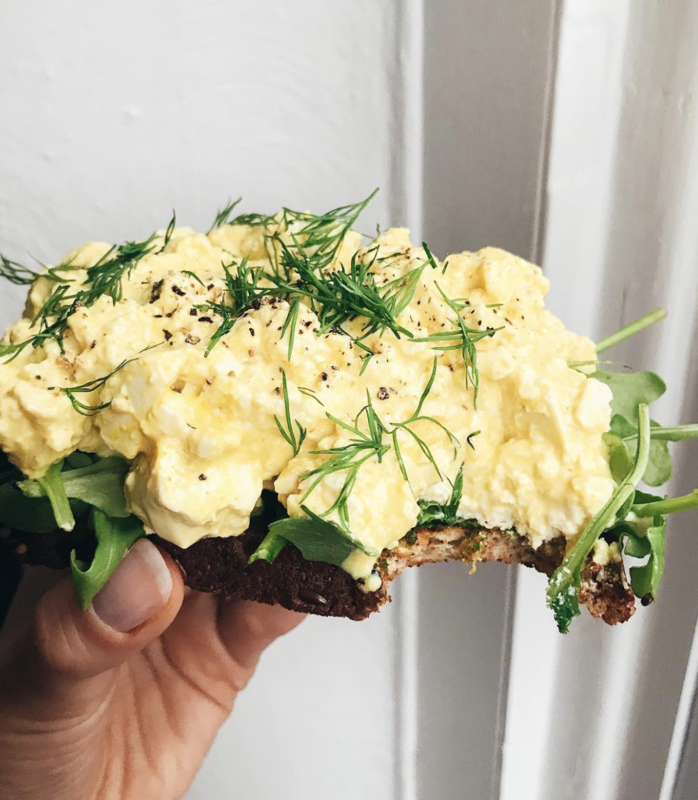 Feedfeed Tip Ever baked with a flax egg? This is simply a mixture of ground flax seeds and water, and it's the key to vegan baking. Make sure to let the flax egg rest for at least 20 minutes so that it can thicken.